Take control of your finances with these easy-to-follow, straightforward steps. Then, if you’re up for the challenge, build wealth with our advanced strategies. Everyone defines being "rich" differently. It isn't always about how much money one has. Money is just the tool we use to obtain the material stuff we want and the experiences that give us joy. There's a big difference between someone who's cheap and someone who's frugal. The first one tries to cut spending on everything. The other one cuts costs on the things they don't care about, to be able to splurge on the things they absolutely love! 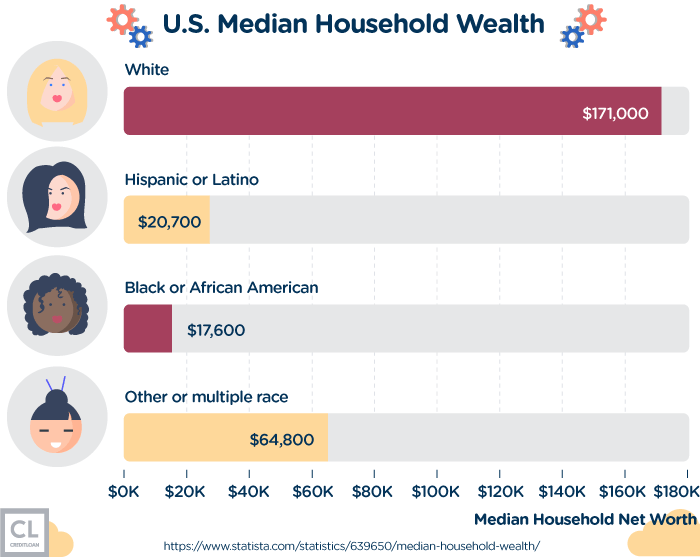 But regardless of how you choose to define "being rich", I believe it's absolutely crucial for each one of us to work toward mastering our personal finances. Lots of people want to take control of their financial affairs and live the life they want, but don't know where to begin. The truth is, personal finance can be simple, as long as you're aware of the basic concepts and rules. It all comes down to banking, saving, budgeting, and investing. Even if you're stuck with debt or simply financially challenged, this step-by-step guide will help you get out of the hole you're currently in, so you can begin saving and investing as soon as possible. Follow the steps in this guide and soon you'll have financial stability and a comfortable future retirement within your grasp. The first step in mastering your personal finances is to create a household budget. 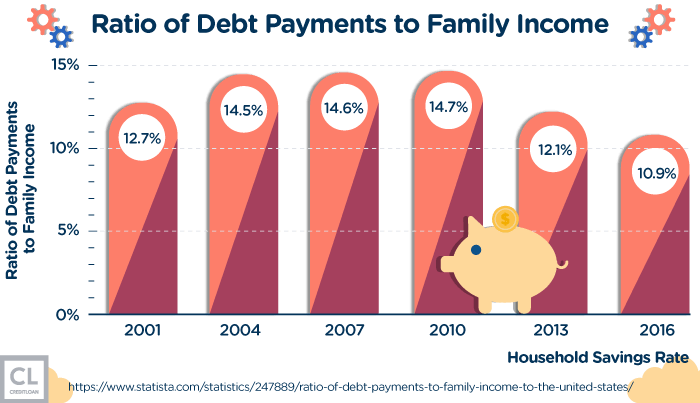 Generally, the rule of thumb is to calculate the income your family expects to pull in over the course of a month. 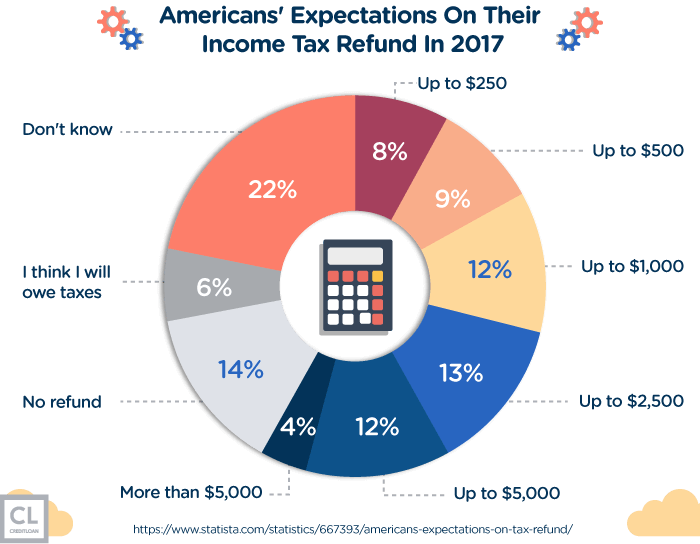 Then, earmark 50% of your after-tax income, otherwise known as your take-home pay or net income, for living expenses like rent, utilities, food, and transportation. No more than 30% of your income should go to lifestyle expenses including dining out, buying clothes, gym memberships, and other personal costs. Invest 20% toward your future.The final 1/5 of your income should go toward paying down debt, creating an emergency savings fund, and saving and investing for retirement. There's an app for that.Fortunately, in this digital age, there is an app for almost everything, and there are plenty of budgeting apps out there. My personal favorite is called Mint; it helps you calculate your cash flow, create monthly budgets, and track credit cards, bills, and investments. It helps you know exactly where your money is and what it's doing, and even offers custom tips and advice. Here's a trick: use separate accounts.Some people have trouble planning and tracking their spending when all of their money is just lumped into one account. To make it easier, set up multiple accounts or "buckets" for different functions. Use your checking account for your spending money—everything from groceries to fun stuff like going out for dinner. Set up a second checking account for fixed expenses, like rent or mortgage payments, utilities, and your phone bills. Then set up a third savings account for your savings (ideally, find one that earns interest at a higher rate than the 2% rate of inflation). When you login to your online banking page, you'll see exactly where you stand with all areas of your budget and you can allocate money accordingly. Once you've got your budget sorted out, the most important thing is to take the 20% of your income you've made available for your future and use it properly. Although investing is important, getting out of debt should be your first priority. For people who have multiple debts, including credit card debt, student loans, and personal loans, one popular method for attacking it strategically is called the snowball method. Start with the account that has the smallest outstanding balance. Put as much of your income as possible each month toward paying it off. Maintain minimum payments on the debts you're not targeting and put the rest of the 20% toward the smallest unpaid balance. When that one is out of the way, do the same thing to the next smallest debt. Keep working your way up to the larger debts and you'll notice the minimum payments from debts you've wiped clean get rolled into the next payment like a snowball. Some people prefer a "debt-avalanche" approach.Another strategy for paying off multiple debts is known as debt-stacking or the avalanche method. Rather than focusing on the smallest balance first, you begin by targeting the accounts with the highest interest rates and work your way down from there. Negotiate credit card interest rates. One little trick the debt relief pros use successfully all the time is calling your credit card companies to request a lower interest rate. Sometimes your APR interest rate can be cut in half. Other times the customer service representative might offer to wipe out late fees or other penalties. You have nothing to lose: all it takes is a phone call! One fatal error I've seen many people make with their personal finances is not preparing for unexpected expenses or loss of income. Whether it's due to medical bills, getting laid off, or another unplanned financial crisis, you need to have a safety net to get you through hard times without going neck-deep in debt, or worse, going bankrupt. Put it away for a rainy day.Experts say you should take the 20% of the net income you've budgeted for the future and put it aside every month. Continue to deposit 20% of your monthly income into a high-interest bank savings account. 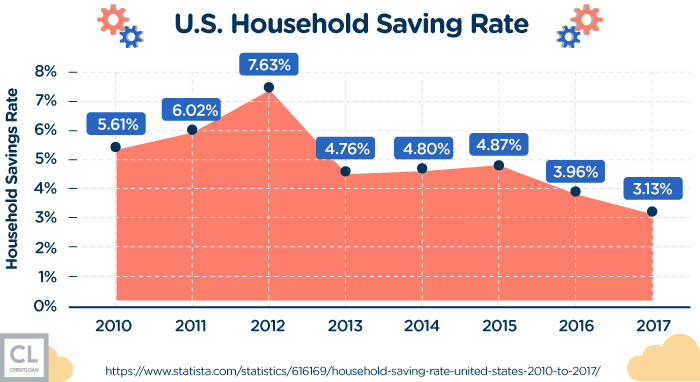 Try to get a savings account with an annual percentage yield (APY) of at least 1.5%, or preferably 2% or more to keep up with inflation. Save three months' expenses or more.Look at your budget and calculate your monthly expenses. Make a goal of saving at least 3 to 6 months' worth of living expenses, or even higher. There's a chance you may never have to dip into it, but having a cushion for a whole year's worth of expenses will give you great peace of mind and a feeling of security. Once you're confident your emergency fund is large enough to cover you in the case of a personal financial crisis, you can start shifting your focus toward money-making investments. When you're looking to save, target the small stuff.Although it's easy to say, "You need to save 20% of your income," for many it's a daunting challenge. People make the mistake of only cutting back on big-ticket items when they need to save (like continuing to drive an old car rather than replacing it). The fact is, on a day-to-day basis, life's little luxuries add up. If you're splurging for a $4 coffee every morning you could switch to making your own at home. Even if it costs $1 for a home-brewed cup of coffee each day, you'll have saved $1,095 in unnecessary spending by the end of the year. Cutting back on little luxuries like car washes, manicures, and eating take-out can really add up over time and help you hit your emergency fund goal. You're now out of debt and you've put away enough of an emergency fund to get you through any surprises life might throw at you. Now it's time to take the 20% of your income you've put away every month for your future and make it work for you. Retirement comes faster than you think.When you're in your 30's and 40's, it's hard to focus on retirement. It feels like a long way away and it's easy to think you could be doing better things with your money right now than putting it away for when you retire. The thing about retirement savings is it's not just about having money in your future, it's also about saving money on taxes today. Many retirement savings programs let you deduct your contributions from your income, so you can defer paying tax until the future when your retirement income is lower. Put 10% into a retirement savings product.Every month you need to take half of the 20% you have available from your income meant for investments and put it toward your retirement. Your two main choices when it comes to retirement savings investment accounts are IRA's and 401(k)'s. The traditional forms of both of these tools are great for avoiding taxes since they are registered retirement accounts and your contribution is deducted from your income. Individual Retirement Accounts (IRAs) are a mix of investments.IRAs are usually a mixture of stocks, bonds, and mutual funds, all within one account. There are a number of different types of IRAs. Individuals invest in Traditional and Roth IRAs, and small businesses and self-employed people invest for retirement with SEPs (simplified employee pension) or Simple IRAs. The annual limit for the amount you can deposit into an IRA is $5,500, or $6,500 if you're over 50. Save on tax with an IRA.When it comes to taxes, with a Traditional IRA you deduct the amount you deposited that year from your annual income, which means you aren't taxed on what you invested. Later, when it's time to cash in your IRA to cover retirement expenses, you're taxed on the initial investment as well as the gains or profits it earned. Roth IRAs, on the other hand, are not tax-deductible, but you are not taxed on the profits the investment earns either. When you retire, you can withdraw from the account without paying any taxes on the income at all. Here's an IRA trick: make Spousal Contributions.A lot of people think IRAs only work for people who are earning income (so they can reduce the taxes they pay). "Spousal contributions" to an IRA means the working partner can contribute to an IRA in their spouse's name. If you file a joint tax return, contributions to both accounts can be tax-deferred. 401(k) plans are established by your employer.A 401(k) plan is a registered product set up by employers to help their employees save for retirement. If your employer is awesome, the company will match your contributions. With Traditional 401(k) plans, the contribution is pre-tax, which means you're not taxed on the money you put into it until it's withdrawn later. Roth 401(k) plans have after-tax contributions, in other words, you don't deduct what you put in from your income, but you aren't taxed on the profits in the future. Once you've started depositing 10% of your income into a retirement savings plan or account, you'll still have another 10% to put to work for you. Investing in the stock market can be simple if you take careful steps rather than diving right in. Mutual funds pool money to invest in a shared portfolio.Mutual funds are a form of investment a lot of people are intimidated by. There are many, many mutual funds out there and they all have different investment strategies. Mutual funds often have complicated fees, which also turn people off. A mutual fund is an investment company that takes money from multiple investors, pools it, and then invests it in all sorts of different assets including stocks, bonds, commodities, and real estate. Diversification minimizes risk.Rather than putting all your money into four or five stocks, the mutual fund manager spreads it across a whole portfolio. This attracts investors because it means they don't have to depend on the success of one company in particular. Rather, they benefit from the success and growth of all the companies and assets the mutual fund invests in. Mutual funds are known to have thousands of smaller investments across diverse sectors. They do the work, you collect the money.What's great is that you don't have to choose or monitor each one, since the mutual fund manager is doing it for you. If your mutual fund includes bonds, you get paid on the interest they earn. When the stock market shares purchased by a mutual fund generate dividends, the money is distributed among the mutual fund holders. Easy to buy and redeem shares.Another thing people like about mutual funds is they are very liquid, which means you can move money in and out with ease. Switch your loan payments to a Systematic Investment Plan (SIP). Another golden nugget of advice I can offer is to take the installments you were formerly paying on a loan (e.g. a student loan you paid off) and invest the monthly payments into mutual funds. It's called a Systematic Investment Plan (SIP), where you agree to put the same amount of money each month into your mutual fund account. Rather than practicing discipline to clear a debt, you're using it to build assets, and the customary lock-in period ensures you won't touch it. Once you've become comfortable investing through mutual funds, you can try making some personal investments in the stock market. The stock market can pay dividends.Investing in stocks is one of the most popular ways to build wealth. When you buy a share of stock, you are buying part of a company. Almost all of the richest people in the world got there by owning large blocks of shares in valuable private or public corporations. It can be very straightforward, so don't be intimidated. A lot of people avoid getting into the stock market because they don't know how it works. They get scared by the idea of needing to watch the stock market's performance every day so that they can buy low and sell high. The reality is, picking a stock and trading it quickly after it suddenly shoots up is not how most people make money from investing in stocks and bonds. You get paid dividends when the stocks increase in value.Rather than making money through buying and selling, the real money is in owning a stock and holding onto it. As the shares you own in the company increase in value over the long term, the investor gets paid interest and dividends. It's called being an outside, or passive, investor, and its been known to generate millions for people working for modest salaries. Pick strong companies and stick with them.Do some research and identify four or five companies you think are well-run. Look for companies with strong finances and management as well as a solid track record for being shareholder-friendly when decisions are made. Take some or all of the 10% you still have available for investing in the future and put it down on these four or five good bets. Step 4: Don't touch them! Now the trick is to not touch the investments for at least five years. Hold the position and watch your money grow over time.It's called "holding the position" and it's the key to success with investments like the stock market or mutual funds. Even people who have earned billions buying and selling stocks, like Warren Buffet, made most of their fortune selling stocks they held onto for 25 or even 50 years! This step is optional depending on how much money you still have available and how comfortable you are with taking risks. Speculative investments are ones that come with a high risk but could also earn you high rewards. The number one rule with these kinds of investments is you have to be prepared to lose every penny you put into it. Fund a start-up and you could get rich.If a friend of yours has a promising tech start-up and needs venture capital, you could get behind it as an investor. It could become the next Facebook and you'll make millions on your investment. Or perhaps, the company could tank and you'll end up losing whatever you have put in. Go crypto but be careful.Buying cryptocurrency like Bitcoin has made a lot of people a lot of money. The only problem is, you'll never know when investors will get caught holding the bag (for example, if the price for a Bitcoin suddenly dropped to nothing). Day trading can be lucrative.If you are open to becoming one of those people who is always watching the markets out of the corner of their eye, you could try day trading. Currencies like the U.S. dollar and the euro are routinely traded on a day-to-day basis, and commodities like gold, silver, and oil can be bought or sold the same way. Profits or losses are generated as the markets fluctuate, and there is an option to wager on the future performance of a currency or commodity. These wagers are known as "futures." Stock market day trading needs a lot of starter capital. Experts recommend people who want to seriously get into day trading on the stock market have at least $25,000 to invest. The most volatile trading times, and therefore the best times to make money on rapid fluctuations, are early in the day (i.e. 9:30-11 am) and near the markets' close (i.e. 3 or 4 pm). As a rule, you can manage your day trading risk by never putting more than 1% of your total capital on a single trade. If you're starting with $25,000 in capital, don't make a single transaction worth more than $250. Your credit score determines many important factors in your personal finances. If you have an "Excellent" credit score (a FICO score over 720) you'll get better terms for mortgages, credit cards, and even insurance premiums than if you had a score of, say, 650. People with better credit scores are considered a lower risk to lenders, so things like insurance premiums and interest rates are offered lower for these individuals. When you have a good credit score, you're also more likely to get approved for higher amounts on loans, credit card limits, and insurance coverage. People with low credit scores can still get approved for loans or credit cards, but the terms they will be quoted at are more expensive than high-credit-score customers. You need to use credit properly to increase your score.Earlier, I walked you through some strategic methods for getting rid of credit card debt. Now I'm going to tell you why it's still important to keep one or two good credit cards in your wallet. When you have credit available but you're only using a fraction of it (ideally less than 30%), it can positively affect your credit score. It's called your "credit utilization ratio" and it's reported to the three credit bureaus and eventually contributes to your overall FICO credit score! Earn cash back and rewards by charging everything to your credit card.Another important area of personal finance that a good credit card can improve is earning travel rewards or cash back. Good cash back cards can pay you back as much as 5% for spending in certain categories. Others provide 1.5% cash back on all purchases, no matter what they are. If your family is like most families living in American cities, your expenses are around $1,000 a month. By putting all your payments and purchases on a cash back credit card that has no limit on the amount you can earn 1.5% on, you'd get $180 back over the year. Make sure you pick a card with no annual fee so it doesn't eat up your earnings. Travel reward credit cards get you in the air faster. Some credit cards let you earn travel rewards points for all your spending, which can be redeemed for great travel deals. Put everything on plastic.Whether you're after cash back or travel rewards, put all your purchases on the most appropriate credit card, whenever possible. Make sure you pay your balance in full at the end of every month, otherwise the interest could outweigh the cash back or rewards. Using your card responsibly increases your credit score.You'll not only be earning money back or points toward a trip, you'll also be increasing your credit score. Using credit and paying it back on time and in full is another great way to see your credit score increase. Let big-data software do the work for you.The easiest advice I can offer is to find a robo-advisor to manage your investments. 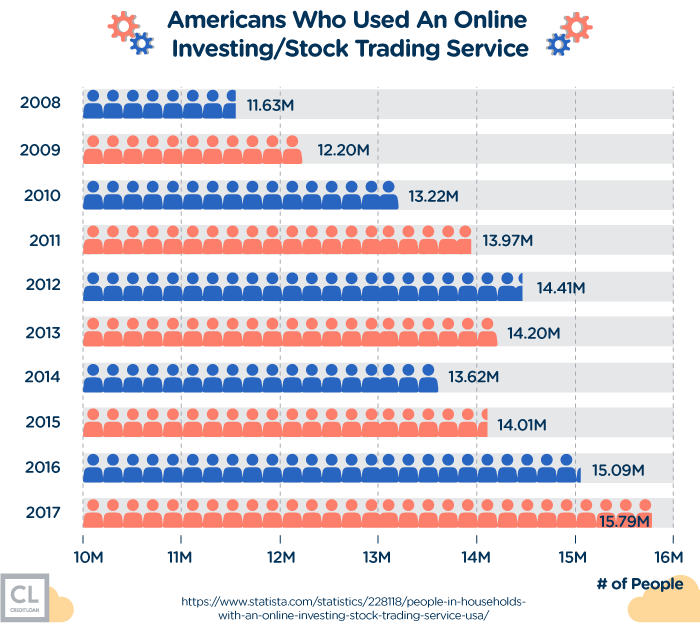 Robo-advisors are digital online platforms providing completely automated financial planning and investment services with no human interaction. Rather than depending on a financial planner's knowledge or preferences, robo-advisors rely on data and algorithms. Trusted robo-advisors include Betterment, Personal Capital, and Wealthfront. Cost-effective investment option. The best robo-advisors have low fees and let you start off with a low investment. You set up your account information and indicate your investment priorities and the level of risk you're comfortable with. After the robo-advisor has collected info about your financial situation and future goals, the data is used to automatically invest your assets. Investment choices are calculated based on data. The robo-advisor's algorithm kicks in and scans popular investment options to create and manage a portfolio for you. A lot of robo-advisor sites offer other services like advice for minimizing tax losses, and even access to certified financial planners. You won't be alone. So many people are opting for robo-advisors to manage their investments, it's expected that by 2020 these platforms will be managing $2 trillion in client assets. Now that you've reached the end of this guide, I hope you're feeling a lot more confident to take concrete steps toward controlling your personal finances. How well you do it will impact not just your immediate future, but how well you live the rest of your life. Oftentimes, the right information and a bit of strategic planning was all they needed to get out of debt and finally enjoy the financial stability they deserve. It might be difficult to think about building wealth right now, especially if you're currently in debt. But remember that every dollar you put toward paying off your debt gets you ever closer to a point when you can invest and grow your money and wealth. Do you have any personal finance tips you'd like to share with us here? Are there any success stories you've experienced managing your personal finances?